If everyone ate at happy hours alone, then restaurants would go out of business. Especially the wonderful and diverse happy hours in the NoHo area of the San Fernando Valley. After all, why not try some of the best dishes and drinks from some of the best restaurants at a happy hour rate? People that go to happy hours are people who want to try a new place that offers a fare that might interest their palate, yet they have not been able to make it at lunch or dinner time. And those that think you get less at this time, are just not well informed. The experience and pleasure of enjoying some of the best on a restaurant menu at happy hour times is often a delicious surprise. Fortunately, here in the NoHo district, along with our wonderful theaters, art galleries, and exercise venues, we can now boast about some of the best happy hours around. Highlighting just a few in this neighborhood will hopefully whet the appetite enough to make everyone want to try them all. Let’s start with Bow & Truss on Magnolia Boulevard, then we’ll move onto the Federal Bar on Lankershim Boulevard, and finally the well known Eclectic just off Magnolia Boulevard. Bow & Truss, in the heart of the NoHo Arts District has enjoyed a wide range of success in this area. The happy hours are from 3-7PM, drawing a crowd that demands good food and service. Its website describes the name and the connection to the Knitting Factory restaurant group. Named for the unusual bow-and-truss ceiling inside the restaurant it also has beautiful exposed brick. Customers enter from the outside onto a lovely patio area that is inviting and yet surprisingly different. The crushed granite sand and umbrellas offer coverage for the hot North Hollywood summers. This delicious cuisine offers small plates and unusual signature dishes with ever changing cocktails. The menu was created by Executive Chef Aaron Grissom. In addition, they have an impressive list of domestic and Latin wines, craft beers served from either the inside or outside bar. Looking at the unique variety of dishes offered here such as, lamb breast tacos, Basque clams, and smoked baby carrots; it’s hard to decide what to order first. It is a menu that begs you to try more. My happy hour favorite has to be the chicken tacos and the grilled asparagus from the Basque region, with sheep’s milk yogurt and caper berry. Everything is cooked to perfection with that special flair. Patrons and their dogs are also welcomed on the patio during happy hour. The service was friendly and prompt and the prices are discounted on non-entree items and specialty drinks. I was happily pleased to try what the well informed server suggested for my cocktail. He was right, it was delicious. Upon leaving, I noted how busy it was getting for the dinner crowd. The food is more than just tasty; it is creative and quality driven. This restaurant is a welcome edition to the neighborhood. The happy hours definitely interested me enough that I would likely come back and try dinner very soon. They have Margaritas Mondays for $4.00, Tuesday Tequilas for $15.00, and Whiskey Wednesdays as well. 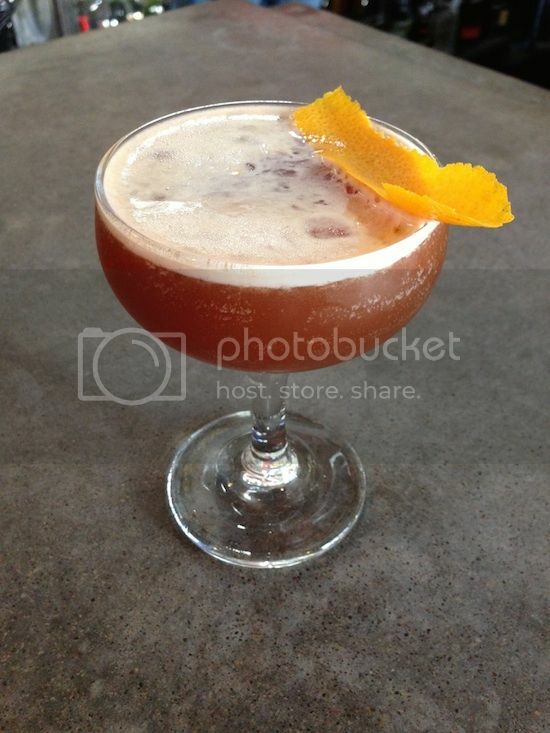 Bow & Truss, 11122 Magnolia Blvd., North Hollywood, (818) 985-8787. Second on the list, but not second in rating by any means, is The Federal Bar on Lankershim Boulevard. It is in an old bank building that has been converted into a restaurant with a back dining room that features jazz on Tuesdays and Sundays, and a host of other talent on certain evenings. This place is wonderful to look at on the outside, and just as wonderful to sit in on the inside. 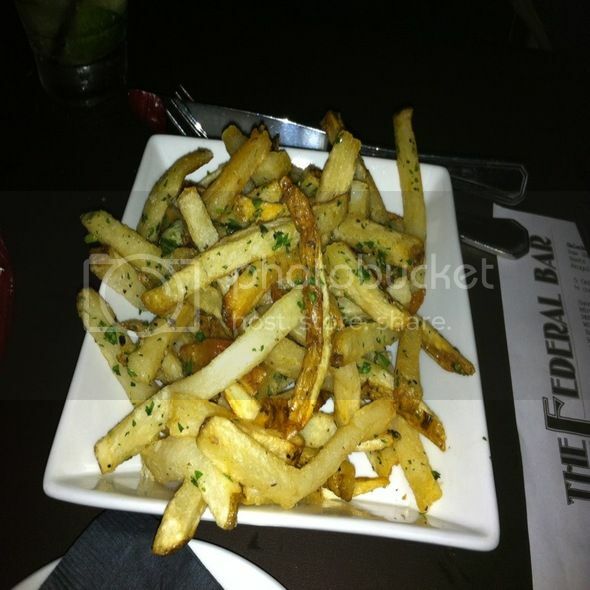 Busy and energetic, the Federal’s happy hour menu is plentiful. The high ceilings are reminiscent of an era long gone. Built around 1926 in the art nouveau style, the walls are all original brick with high ceilings and copper facades. Upon entering the beautiful old wooden doors, you are struck with the large bar area. Every time I have been to the happy hour here, it has been busy. The menu boasts a $2.00 discount on its appetizers, and the beers and wine are also discounted. Their vast array of draft and specialty bottled beers keep its counters full of happy patrons. The food is delicious and its generous portions fill up every plate. Trying the parmesan fries and the magnificent salads, I didn’t want to leave. However, I think my favorite is the artichoke with just the right amount of grill marks, seasoning, and cilantro aioli. I’m told that the hottest item on this menu might be the fed wings with fennel infused hot sauce and blue cheese crumbles. Whatever is eaten here during the happy hour will not be disappointing. The Federal has a warm and inviting atmosphere that bustles with an energy that welcomes everyone. It’s well worth it to make your way to the Federal Bar for happy hour 3-6PM, everyday. The Federal Bar, 5303 Lankershim Blvd., North Hollywood, CA 91601, (818) 980-2555. Just mention The Eclectic on Lankershim Boulevard and everyone knows the place you’re talking about. It’s been here as a staple of the neighborhood for over 25 years. Its modern industrial décor has just been updated to include a beautiful expanded bar area. When you enter this place, you are immediately struck by the simplicity of lines, and the significant art on the walls. The Eclectic serves some of the finest food in NoHo for lunch, dinner and its famous Saturday and Sunday bottomless mimosa and Champagne brunch. However, its under-appreciated happy hour needs to be noticed. Comprised of many delightful and tasty items that rival the other restaurants in the area, the Eclectic goes the extra step. From the Gruyere and spinach stuffed mushrooms to the perfectly steamed pot stickers, everything on the menu is appetizing. Try the chicken quesadilla as well, scrumptious! It was very pleasant to have a server who was so responsive and knowledgeable about all the food and drink items. 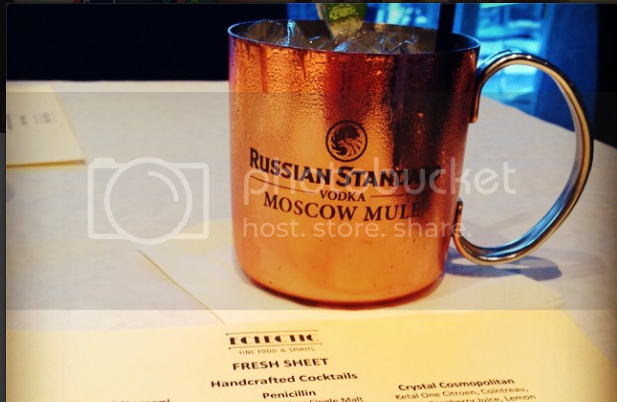 Happily, the array of mouth watering foods is complemented by a substantial cocktail list of martinis, wines, beer, and my favorite, the Moscow Mule. It’s unbelievable that this place is not busier during these hours, given the quality of the food and the prices. The outdoor patio, especially during the spring and summer months should be packed earlier in the day to accommodate the many new NoHo residents looking for a great place to hang, laugh, eat, and gaze at all the wonderful people in the hood. Happy Hour, 3-6pm, Monday through Fridays, Sun-Thurs 8:30-close.They even deliver! The Eclectic, 5156 Lankershim Blvd., (818) 760-1344.